The UPR is host to one of the most prestigious programs in Chemistry across the country. 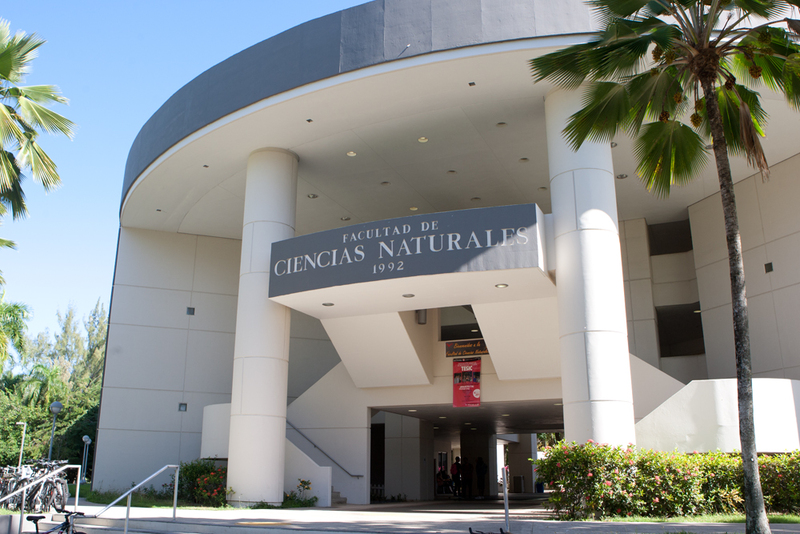 The Department of Chemistry is located in the college of Natural Sciences of the University of Puerto Rico - Rí­o Piedras campus. It is accredited by the American Chemical Society and the Middle States Association of Universities and Colleges. The department has a permanent teaching faculty of 27 (in tenured or tenure-track positions), 17 of which are active researchers in the following areas: electrochemistry, organic synthesis, crystallography, photochemistry, biochemistry, bioinorganic chemistry, laser spectroscopy, marine natural products, theoretical chemistry and environmental analytical chemistry. As a result of the department's strong commitment to research, most undergraduate students become involved in research prior to graduation. The Department of Chemistry enjoys a long-standing reputation for excellence in the main fields of the discipline and with the emerging multi- and interdisciplinary topics. The new building of the College of Natural Sciences was established in 1992. ​The College of Natural Sciences of the University of Puerto Rico, Rí­o Piedras Campus was established in 1943, in the city of San Juan in the central northern area of the island. With a large student body, the college provides one of the best educations in science in Latin America with degrees in Biology, Chemistry, Computer Science, Environmental Science,Mathematics, Physics, and Nutrition. 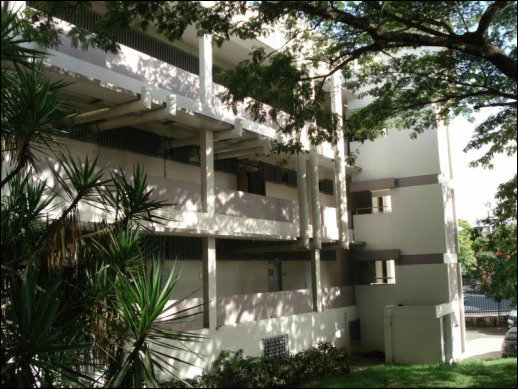 The Facundo Bueso building is host to the majority of the UPR RP laboratories including Biology, Ecology, Chemistry and Physics labs. This is a four story research building that is undergoing updates to bring students the most complete science-oriented environment and modern facilities. This building has common instrumentation rooms such as the Tissue Culture Room, Peptide Synthesis Facility, the Mass Spectrometry Facility, and the NMR Room. The Chemistry Graduate Department office is located in Facundo Bueso as are several research program offices funded by NASA, AMP, BDP, NIH, DOE, DOD, IFN and many other agencies. 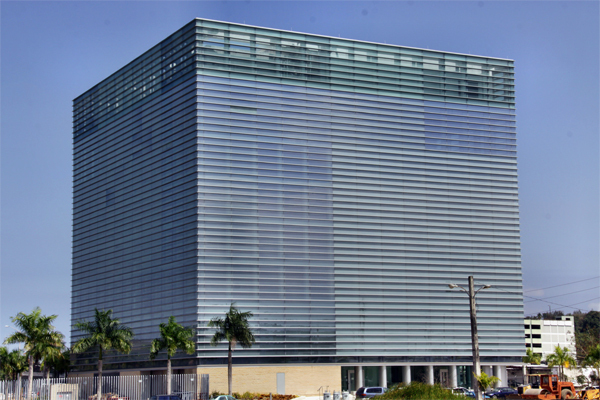 The eight-story Molecular Science Research Center is designed to meet the needs of cutting-edge research in Puerto Rico. The design features standardization, flexibility and adaptability, systems integration, and ease of sharing equipment. All building elements, including structure, offices, laboratories, and furnishings, are standardized according to the latest technological advances. The building has been designed to meet the requirements of the molecular sciences for controlled environments and dependable utilities to conduct research efficiently and effectively. The plan of the building is to promote high efficiency in use of equipment (common use facilities), stimulate communication among collaborators, and facilitate upgrading as science advances, and techniques and equipment improve. The building provides laboratory space for the country's most competitive scientists, specifically, researchers from the Rio Piedras and Medical Science campuses. A key component to infrastructure is quality research space. The structure provides ninety thousand (90,000) net square feet of high quality science laboratories. Puerto Rico has never had research space of this nature. The new building enables us to develop projects in the fields of bioimaging, molecular structure and cellular biology, neuroscience, cancer, and nanotechnology, among others.